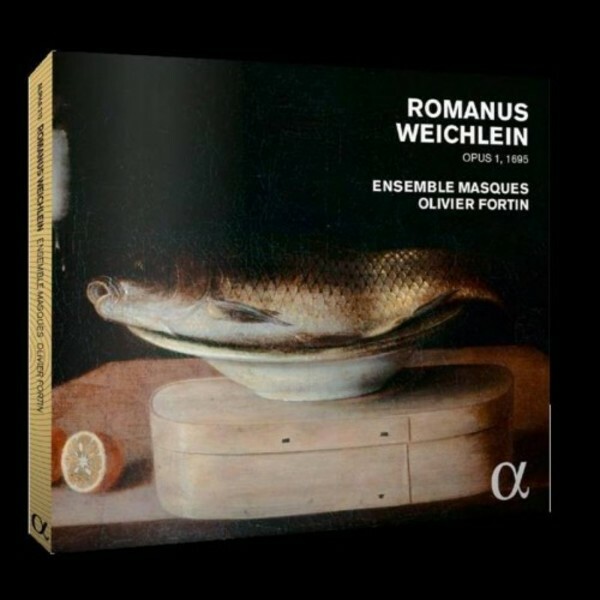 After a first disc devoted to Schmelzer, enthusiastically hailed by the critics (‘Editor’s Choice’ Gramophone, ‘Choc’ of Classica), the Ensemble Masques, conducted by Olivier Fortin, returns to Alpha with a programme combining works by Muffat, Kerll and Pachelbel along with those of a composer who has remained largely unknown and totally forgotten: Romanus Weichlein (1652–1706). Benedictine monk, prefect and official composer of the Benedictine abbey of Säben, Romanus Weichlein left several collections of sonatas and masses as well as large chaconnes, magnificent works in the tradition of his compatriots Biber, Johann Heinrich Schmelzer, Pavel Josef Vejvanovský and Georg Muffat. In this new programme, Masques presents both ensemble pieces and others for solo or two harpsichords (the second harpsichord being played by Skip Sempé), always featuring the expressiveness, eloquence and profound interpretation for which it is known.